John Bunyan (1628–1688) was an English Puritan writer and preacher, famous for writing The Pilgrim’s Progress. Though he was a Reformed Baptist, in the Church of England he is remembered with a Lesser Festival on 30 August, and on the liturgical calendar of the Episcopal Church (USA) on August 29. In 1628, John Bunyan was born to Thomas Bunyan and Margaret Bentley at Bunyan’s End, in the parish of Elstow, Bedfordshire, England. Bunyan’s End was located approximately halfway between the hamlet of Harrowden (one mile southeast of Bedford) and Elstow’s High Street. John was probably educated at his father’s house, possibly with other poor country boys, but in his writings he refers to his days in school. So he must also have spent some time at a school, possibly the one in Houghton Conquest Some think that Bunyan may have attended Bedford Grammar School but some records show that only pupils living in the Borough of Bedford were eligible for a place there. Either way, his later writings demonstrate a high degree of English literacy. Like his father, John chose a job ‘on the road,’ by adopting the trade of tinker. This was a semi-skilled occupation. Few people could afford to purchase new pots when old ones became holed, so they were mended time and time again. The arrival of a tinker was therefore often a welcome sight, although the semi-nomadic nature of their life led to tinkers being regarded by some in the same poor light as gypsies. 1644 was an eventful year for the Bunyan family: in June, John lost his mother and, in July, his sister Margaret died. Following this, his father married (for the third time) to Anne Pinney (or Purney) and a stepbrother, Charles, was born. It may have been the arrival of his stepmother that, following his 16th birthday, led John to leave the family home and enlist in the Parliamentary army. From 1644 to 1647 John served at Newport Pagnell garrison. The English Civil War was then nearing the end of the first stage. John was probably saved from death one day when a fellow soldier volunteered to go into battle in his place and was killed while walking sentry duty. After the civil war was won by the Parliamentarians, Bunyan returned to his former trade. He continually heard voices urging him to “sell Christ,” and was tortured by fearful visions. While playing a game of Tip-cat on Elstow village green, Bunyan claimed to have heard a voice that asked: “Wilt thou leave thy sins and go to heaven or have thy sins and go to hell?” Because Puritans held the Sabbath day sacred and permitted no sport, John believed that this had been the voice of God, chastising his indulgent ways. John’s spirituality was born from this experience and he began to struggle with his sense of guilt, self-doubt and his belief in the Bible’s promise of damnation and salvation. In 1649, when he was about 21, he moved into a cottage on the western side of the northern end of Elstow’s High Street. In 1650 he married a young woman, an orphan whose father had left her only two books as her inheritance. The two books were Arthur Dent’s Plain Man’s Pathway to Heaven and Lewis Bayly’s Practice of Piety, and the content of these two books appears to have strongly influenced John towards a religious life. (John’s wife’s name is not recorded, but the Bunyan’s first, blind, daughter (born in 1650), was called Mary, and it is possible that she was named after her.) The Bunyans’ life was modest, to say the least. Bunyan wrote that they were “as poor as poor might be”, not even “a dish or spoon between them”. As John struggled with his new found Christian faith, he became increasingly despondent and fell into mental turmoil. During this time of conflict, Bunyan began a four year long discussion and spiritual journey with a few poor women of Bedford who belonged to a nonconformist sect that worshipped in St. John’s Church. He also increasingly identified himself with St. Paul, who had characterised himself as “the chief of sinners”, and believed he was one of the spiritual elite, chosen by God. As a result of these experiences, John Bunyan was baptised and received into St John’s church and he began to follow the teachings of its pastor, John Gifford. A second daughter, Elizabeth, was born in 1654, and in 1655 Bunyan moved his family to St Cuthberts Street, Bedford. That same year John Gifford died and John started preaching. John’s son Thomas was born in 1656, his first book Some Gospel Truths was published and John Burton was appointed minister at St John’s church; in 1657 he became a deacon. His son John was born and his second book Vindication was published. As his popularity and notoriety grew, Bunyan increasingly became a target for slander and libel; he was described as “a witch, a Jesuit, a highwayman” and was said to have mistresses and multiple wives. In 1658, aged 30, he was arrested for preaching at Eaton Socon and indicted for preaching without a licence. He continued preaching, however, and did not suffer imprisonment until November 1660, when he was taken to the county jail in Silver Street, Bedford. In that same year, Bunyan married his second wife, Elizabeth, by whom he had two more children, Sarah and Joseph. The Restoration of the monarchy by Charles II of England began Bunyan’s persecution as England returned to Anglicanism. Meeting-houses were quickly closed and all citizens were required to attend their Anglican parish church. It became punishable by law to “conduct divine service except in accordance with the ritual of the church, or for one not in Episcopal orders to address a congregation.” Thus, John Bunyan no longer had that freedom to preach which he had enjoyed under the Puritan Commonwealth. He was arrested on 12 November 1660, whilst preaching privately in Lower Samsell by Harlington, Bedfordshire, 10 miles south of Bedford. John was brought before the magistrate John Wingate at Harlington House and refused to desist from preaching. Wingate sent him to the county gaol in Bedford to consider his situation. After a month, Bunyan reports (in his own account of his imprisonment) that Wingate’s clerk visited him, seeking to get Bunyan to change his mind. The clerk said that all the authorities wanted was for Bunyan to undertake not to preach at private gatherings. John argued that God’s law obliged him to preach at any and every opportunity. In January 1661, Bunyan was brought before the quarter sessions in the Chapel of Herne, Bedford. His prosecutor, Mr. Justice Wingate, despite Bunyan’s clear breaches of the Religion Act of 1592, was not inclined to incarcerate Bunyan. But John’s stark statement “If you release me today, I will preach tomorrow” left the magistrates – Sir John Kelynge of Southill, Sir Henry Chester of Lidlington, Sir George Blundell of Cardington, Sir Wllm Beecher of Howbury and Thomas Snagg of Milbrook – with no choice but to imprison him. So Bunyan was incarcerated for 3 months for the crimes of “pertinaciously abstaining” from attending mandatory Anglican church services and preaching at “unlawful meetings”. Strenuous efforts were made by Bunyan’s wife to get his case re-heard at the spring assizes but Bunyan’s continued assertions that he would, if freed, preach to his awaiting congregation meant that the magistrates would not consider any new hearing. Similar efforts were made in the following year but, again, to no avail. In 1664, an Act of Parliament the Conventicles Act made it illegal to hold religious meetings of five or more people outside of the auspices of the Church of England. It was during his time in Bedford jail that John Bunyan conceived his allegorical novel: The Pilgrim’s Progress. (Many scholars however believe that he commenced this work during the second and shorter imprisonment of 1675, referred to below.) Bunyan’s incarceration was punctuated with periods of relative freedom—lax jailers allowing him out to attend church meetings and to minister to his congregation. In 1666, John was briefly released for a few weeks before being re-arrested for preaching and sent back to Bedford gaol, where he remained for a further six years. During that time, he wove shoelaces to support his family and preached to his fellow prisoners – a congregation of about sixty. In his possession were two books, John Foxe’s Book of Martyrs, the Bible, a violin he had made out of tin, a flute he’d made from a chair leg and a supply of pen and paper. Both music and writing were integral to John’s Puritan faith. John Bunyan was released in January 1672, when Charles II issued the Declaration of Religious Indulgence. In the same month as his release, John Bunyan became pastor of St John’s Church. On 9 May, Bunyan was the recipient of one of the first licences to preach under the new law. He formed a nonconformist sect from his surviving parishioners and established a church in a barn in Mill Street, Bedford—the present day site of the Bunyan Meeting Free Church. It was the Quakers which helped secure Bunyan’s release. When the King asked for a list of names to pardon, the Society gave Bunyan’s name along with those of their own members. Within six months, John was free and, as a result of his popularity, was never arrested again although,for a time, Bunyan was said to have dressed like a waggoner, whip in hand, when he visited his various parishes – so as to avoid another arrest. This purports to have all the content of volumes 1-3 of the Works of John Bunyan (see below). Or, To Communicate With Saints as Saints Proved Lawful. Also available in Works, volume 2, below. Forty-nine poems for youth on various subjects, with spiritual application. Illustrated. Also available in Works, volume 3, below. Also available in Works, volume 1, below. Or, A Sovereign Remedy Against All Trouble of Heart That Christ’s Disciples are Subject to Under All Kinds of Afflictions in This Life (John 14:1-3). Heart’s Ease in Heart’s Trouble – pdf, 150 pp. Six Directions on How to Obtain Faith in God and in Christ – pdf, 12 pp. Miscellaneous Extracts – pdf, 10 pp. Also available in Works, volume 3, below. The Life of John Bunyan – pdf, 34 pp. The Jerusalem Sinner Saved (Luke 24:47) – pdf, 92 pp. or, Good News for the Vilest of Men. The Pharisee and the Publican (Luke 18:10-13) – pdf, 150 pp. Of the Trinity and a Christian – pdf, 5 pp. Or, How a Young or Shaken Christian Should Demean Himself Under the Weighty Thoughts of the Doctrine of the Trinity, or Plurality of Persons in the Eternal Godhead. Of the Law and a Christian – pdf, 5 pp. Bunyan’s Last Sermon (John 1:13) – pdf, 8 pp. Bunyan’s Dying Sayings – pdf, 8 pp. An Exhortation to Peace and Unity (Ephesians 4:3) – pdf, 34 pp. Also available in Works, volume 2, below. Containing both parts. Also available in Works, volume 3, below. or, The Intercession of Christ, and Who are Privileged in It. or, No Way to Heaven But by Jesus Christ. or, A Discourse of the Grace of God. or, The Great Difficulty of Going to Heaven. or, A Discourse Touching Prayer. or, The Throne of Grace. or, The Excellency of a Broken Heart. or, A Discourse of the Righteous Man’s Desires. or, The Unsearchable Riches of Christ. Of Antichrist and His Ruin, and of the Slaying of the Witnesses. The Resurrection of the Dead, and Eternal Judgment (Acts 24:14-15). or, The Truth of the Resurrection of the Bodies, Both of Good and Bad at This Last Day, Asserted and Proved by God’s Word. Some Gospel Truths Opened According to the Scriptures. or, The Divine and Human Nature of Christ Jesus. A Vindication of Gospel Truths Opened According to the Scriptures. A Discourse Upon the Pharisee and Publican (Luke 18:10-13). A Defense of the Doctrine of Justification by Faith in Jesus Christ. or, The Doctrine of Eternal Election and Reprobation Promiscuously Handled, in Eleven Chapters. Five Questions About the Nature and Perpetuity of the Seventh-Day Sabbath. Of the Trinity and a Christian, and of the Law and a Christian. An Exposition on the First Ten Chapters of Genesis and Part of the Eleventh. or, An Exhortation to Christian to Be Holy. A Caution to Stir up to Watch Against Sin. The Nature, Excellency, and Government of the House of God. John Bunyan on the Terms of Communion and Fellowship of Christians at the Table of the Lord. A Confession of My Faith. [pdf via Chapel Library, 34 pp. Differences in Judgment about Water Baptism – No Bar to Communion. A Case of Conscience Resolved. A Memoir of John Bunyan. Contains both parts 1 & 2. Includes an extensive introduction by the editor. A Discourse of the House of the Forest of Lebanon. The Life and Death of Mr. Badman. or, Serious Meditations Upon the Four Last Things: Death, Judgment, Heaven, and Hell. or, The Blessing and the Curse: Being a Short Exhortation to Sinners, by the Mercy and Severity of God. A Book for Boys and Girls. or, Divine Emblems, or, Temporal Things Spiritualized. 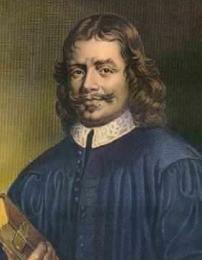 A plea for publishing and preserving the works of John Bunyan. Want to discuss something pertaining to John Bunyan? Leave a public comment below (subject to moderation), or send a private message to the webmaster. Is there anywhere in John Bunyan’s work where he quoted Isaiah 11:6 from the King James Version 1611 AV ?